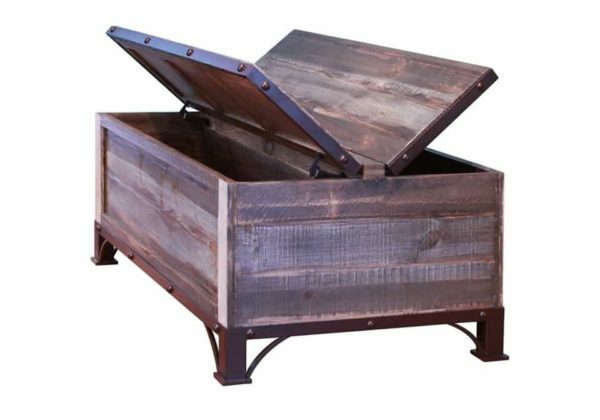 Featuring Solid Pine these storage trunks offer a great value. Soft multi color distressed finish on hand brushed wood. Bases feature solid hand forged iron. Top trim is solid iron with hand applied nail-heads. All tables feature storage space revealed by opening the top. Heavy duty hinges support lid to keep it from slamming shut. Self balancing feature holds lid in any position. Mortise and tenon case construction. Versatile occasional tables can be used as a group or individually.